Please post any pictures of pre retrofit Yan Detachables in this thread. Also appreciated are pictures of Yan Detachables that have since been removed. I was looking for North American Yan Detachables, but thank you though. How is that left legally able to run with the original grips? Yans at Whistler. Green chair, Redline chair, Quicksilver and a type 7 grip from red or green. 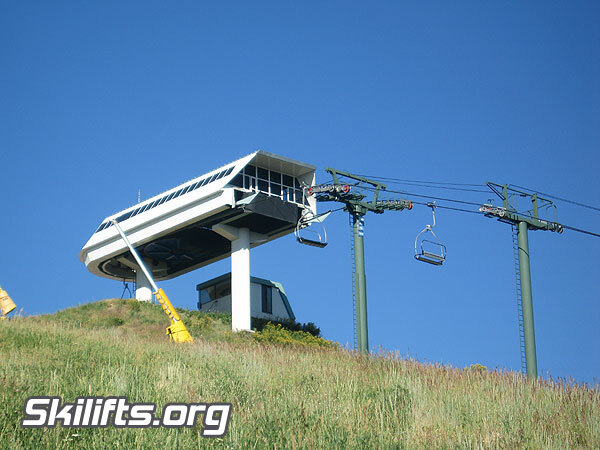 Lift Engineering/Yan made some awesome looking detachable lifts. Too bad there aren't many unmodified ones left out there. Otherwise, . Given what happened, it's a good thing they were modified. And I am glad they were able to be, otherwise there would be none out there. I am very sad though that Yan fell like it did. That is cool, are there any pictures of the Yan Detachable gondola at squaw valley or the former Yan gondola at Northstar? I know there was a yan gondola at squaw, but I've never heard of there being one at northstar. I'm surprised that the Pol-X-West grip that worked in the same terminals didn't get more widely adopted. Would've saved lots of money over having to replace the sheaves and terminal machinery. Were those grips any better than the marshmellow grips? Does anyone know which lift this picture is from? From the website for Sisyan, which seems to be Yan's newest venture. That looks like Frenchman's at Sun Valley to me. Some more I found from random internet searches, don't know where either of these are from. I believe the second one is at Kit Meadows Japan. I've always wanted to see the original Vermont Yans because they were some of the earlier ones installed. It looks like the machine rooms on the drive terminal were slightly different than the later version, also didn't include the more "stream-line" way the portal towers were incorporated into the bottom terminal that the later version had (see 8:15). Found an even better shot. The things you find in ski videos from the 90's! Amazing how much sleeker the original terminal designs were than the retrofits. Awesome shots of the top of the Greyhawk lift at Sun Valley, shot from Challenger (6:30-7:00). Fantastic video! So cool to see one in operation, not something you find really ever is video of a YAN detach. Thanks for the find!